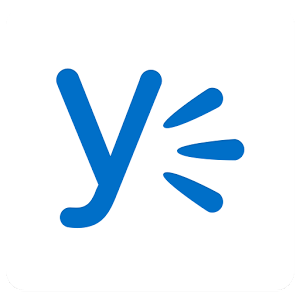 Yammer is a social network for people in suits, a way for corporate employees to learn about their colleagues and communicate without all the distractions that come with relying on a platform that's connected to the entire world. Microsoft bought the service in 2012, but apps remain available for iOS and Android. In the latest round of updates, the latter version is getting Android Wear support. 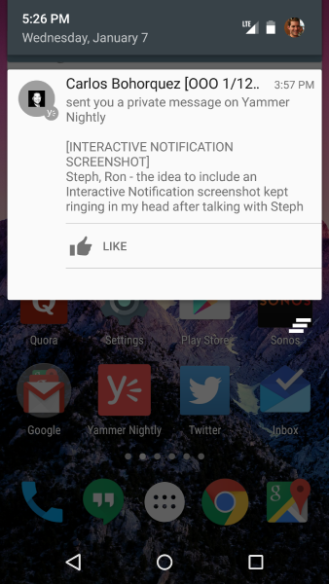 Out of the box, Android Wear could already display any notifications that Yammer shot out. This new integration adds the ability to like messages and reply using speech. The notification experience has improved on the host device as well. Notifications now roll up by thread and are accompanied by a flashing LED to let you know that they've arrived. A like button appears at the bottom of posts so that you don't need to fire up the full app to show your appreciation. You can tinker around with the app through the link below. Just don't let it distract you from work. That kind of defeats the purpose.